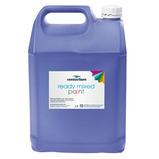 Ready to use water-based liquid paint. 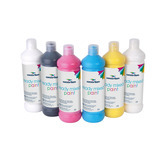 This top grade ready mixed paint is rich, vibrant and has a thick texture with good coverage. 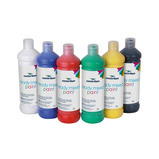 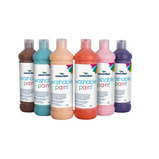 Thick, highly concentrated liquid paint suitable to use in a wide range of activities. 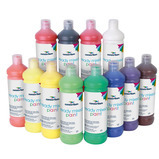 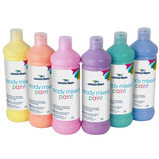 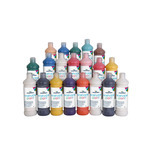 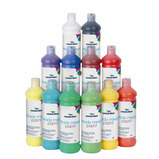 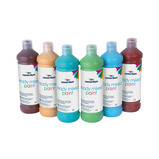 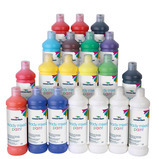 Ready to use, water based liquid poster paint with a smooth, creamy consistency. 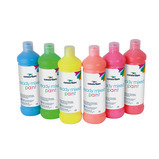 Ready to use water-based liquid paint in dazzling fluorescent colours that glow brightly under UV light. 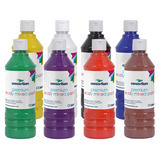 Cut down on mess and waste using this brilliant combination of brush and paint bottle. 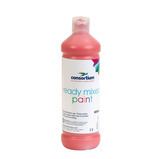 Unscrew the brush head and fill with ready mix paint, then squeeze the bottle to start the flow. 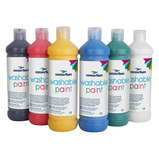 Wash the container when you wish to change colours. 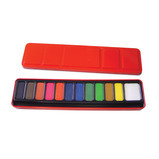 A sturdy metal tin containing ready mixed watercolour blocks. 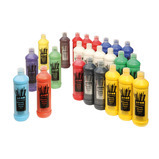 The lids have wells to allow for colour mixing. 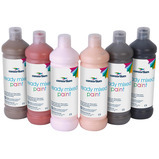 Made from durable metal this premium tin contains 12 ready mixed paint tablets and groove for a brush. 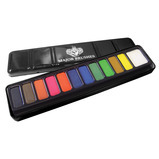 Made with superior quality pigments for extra vibrant and vivid colours this tin is a great choice for more senior students. 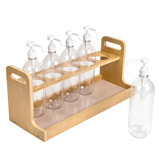 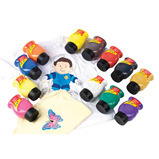 Ideal for little hands due to the soft grip handle. 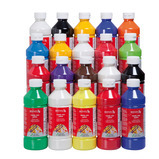 Can be used in dough, ready mixed paint and paint pads to create interesting animal designs. 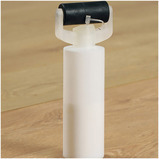 Easy to use these refillable rollers enable children to glue or paint large areas quickly and evenly. 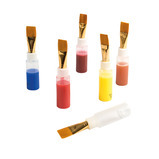 The screw on attachment feeds thicker liquids such as ready mixed paint or PVA onto the roller allowing it to be applied smoothly. 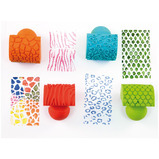 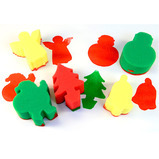 These fun stampers can be used to create fun patterns using dough, ready mixed paint and paint pads. 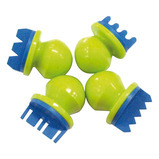 The soft grip handle makes them ideal for little hands.